Dental diseases are the most prevalent chronic infectious diseases in the world, affecting up to 90% of school children and the vast majority of adults. The oral cavity is a biologic soup and our teeth are a part of this dynamic environment. This environment constantly goes under a cycle reaction of de-mineralization & re-mineralization. 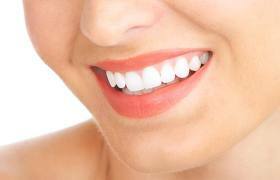 Each acidic food or drink makes the oral PH acidic and the teeth structure will de-mineralize. Also pathogenic bacteria on the surface of the enamel continually reduces the PH resulting in de-mineralization localized chemical dissolution of the dental structure. These metabolic events take place in the biofilm, also called dental plaque, that covers the affected area. Additionally, it is important to know that bacteria found in dental decay is transmissible through saliva. Healthy saliva can buffer the acids from the plaque and acidic condition when stimulated. The stimulated saliva PH increases to 7.8 that help in "de-mineralization – re-mineralization" cycle. As the PH recovers, the de-mineralized structure can re-mineralize using the dissolved minerals. However, when there is an imbalance in the system, the re-mineralization process will not occur and the dissolution of the tooth structure will take place. Patients with dry mouth (such as in Sjogren’s syndrome, cancer radiation therapy, or a side effect of medication) are especially more susceptible in developing cavities/ oral disease. 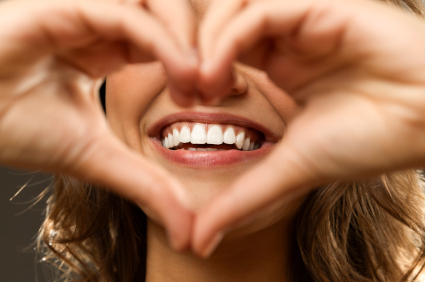 XYLITOL is a natural ingredient that can help to reduce bacteria and fight tooth decay. It first became popular in Europe as an alternative for people with diabetes. It is found in natural resources such as birch trees, corn, vegetables and fruits. The most common source today is corn cobs and corn stalks. The body makes 5-10 grams of xylitol every day. Xylitol works by preventing the bad bacteria in your mouth from making acids. When this occurs the bacteria cannot stick to each other or our teeth. The bacteria cannot talk to each other thereby preventing the formation of biofilm. Research shows that xylitol starves the unhealthy bacteria which allows the mouth to re-mineralize teeth that are damaged, which in turn makes the teeth better able to resist decay. Xylitol is safe for diabetics, has a glycemic index of 7, and does not use insulin for metabolism. It has only 9.6 calories per teaspoon vs. 15 calories for regular sugar. Since the bacteria that causes tooth decay is transmissible it has been recommended that a mother use Xylitol daily for the first two years of their child’s life. Children whose mother used Xylitol are less likely to need teeth restored at age five.